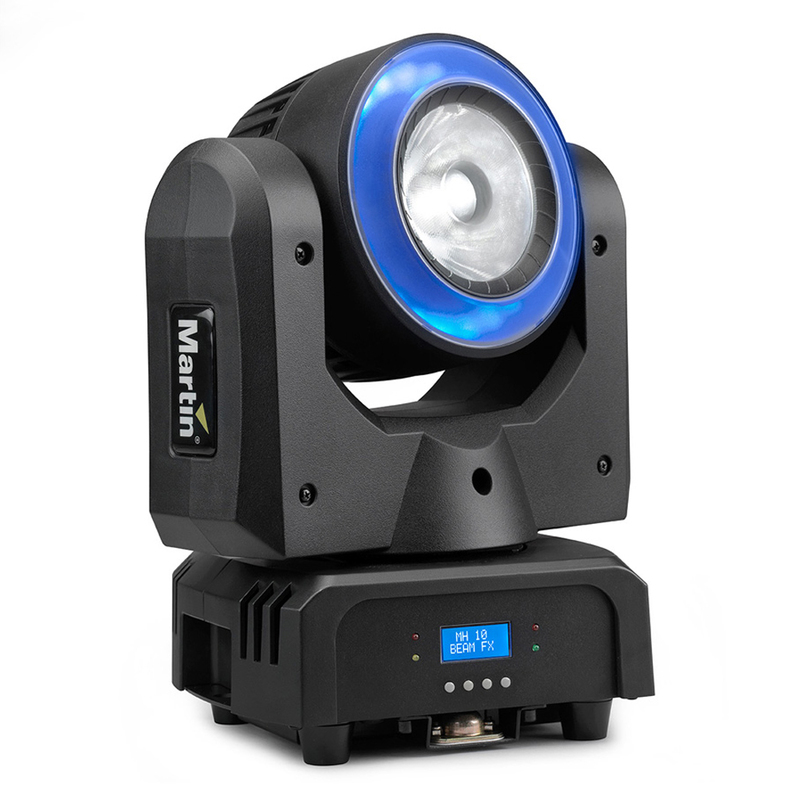 The Martin RUSH MH 10 Beam FX is a compact 60W RGBW LED Beam moving head fixture with an independent, built-in LED ring. 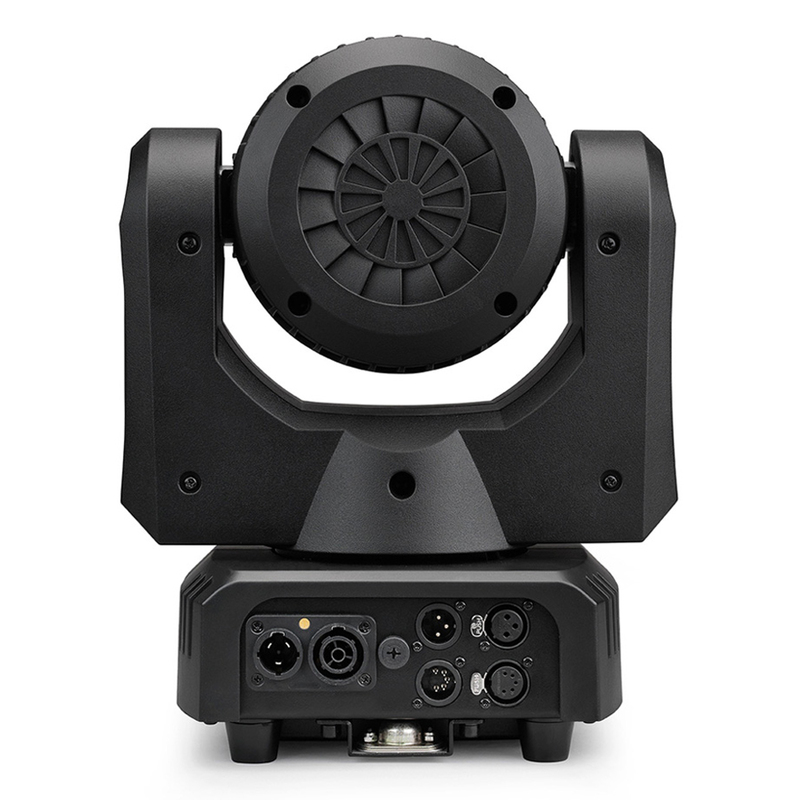 With 24 individually-controllable RGB LEDs surrounding a central beam lens, the RUSH MH 10 FX offers a variety of exciting visual effect possibilities at an affordable price. 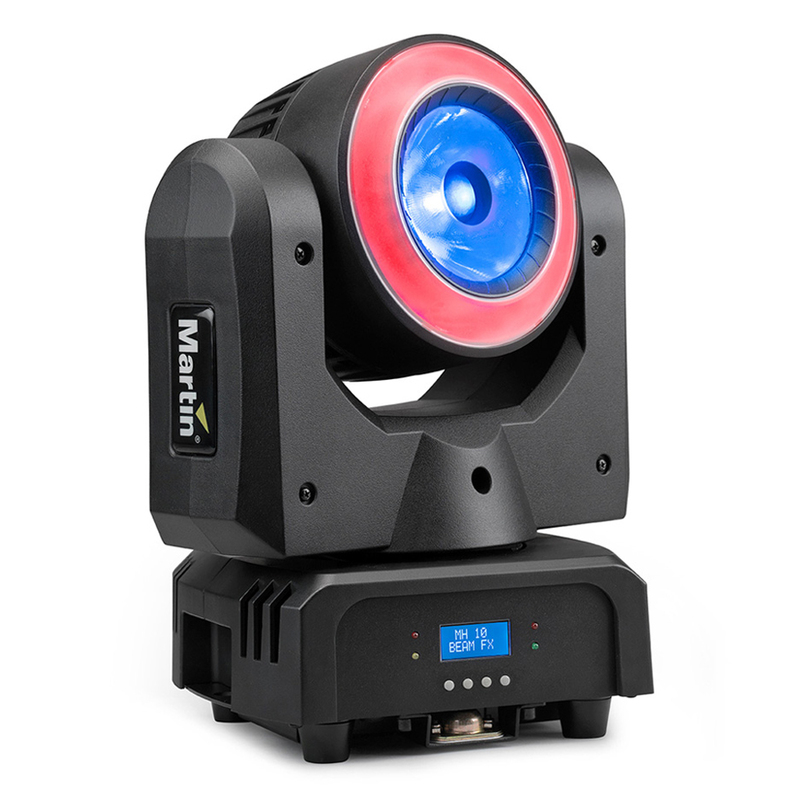 The Martin RUSH MH 10 Beam FX uses a collimator lens design, creating a striking, high-intensity look on stage. The OSRAM OSTAR LEDs on the MH 10 Beam offers excellent color mixing with Martin MAC Aura, RUSH MH 6, and RUSH Par 2 fixtures. 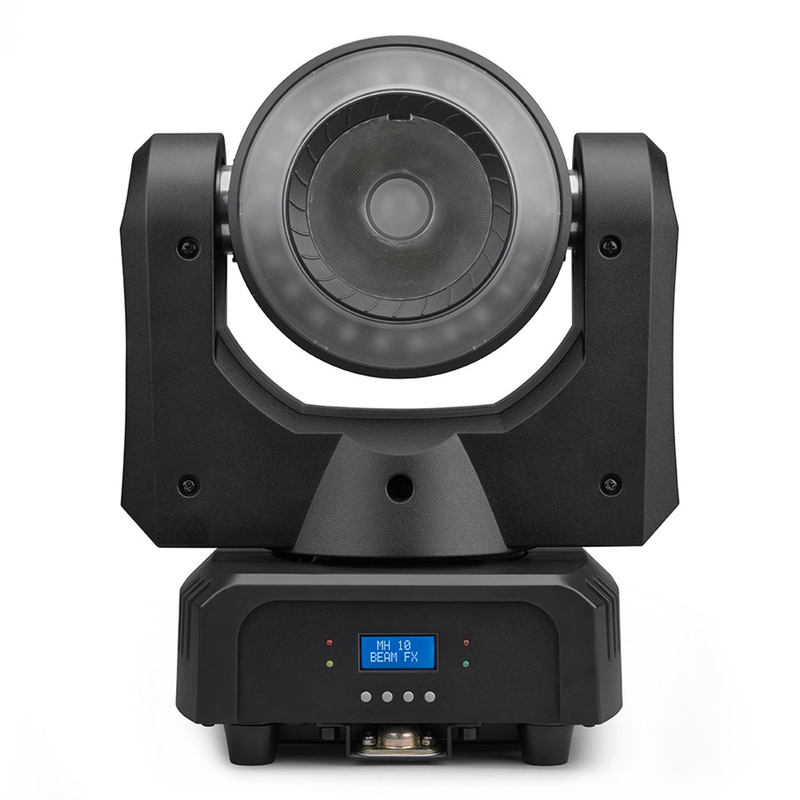 Independent control of the ring LEDs also allows the fixture to easily blend into on-stage LED video elements. Other features include continuous pan and tilt and lightweight build, providing a number of interesting rigging possibilities and high-speed looks. The Martin RUSH MH 10 is a perfect fit for nightlife, houses of worship, cruise ships and small-to-medium touring and rental customers. · Low weight—7.5 kg/16.5 lbs.